The FIVB is considering a long list of rule alterations with the idea of making the game more fan-friendly. Let the debates begin. Indoor volleyball is not a violent sport, but it will likely have an uptick in its own rule debates very soon. 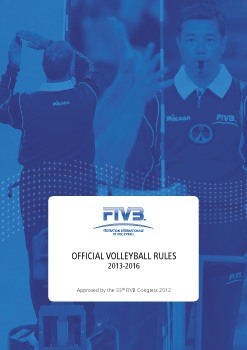 Numerous changes are currently being considered by the FIVB, and there are sure to be strong opinions on both the yea and the nay sides. I like the intent of the rule, which creates incentive to use the more consistent float serve and a disincentive for players to bomb their jump serves for what is too often an all-or-nothing result: an ace or an error. Some experts say there may be better ways to reduce the number of jump spin serves – like penalties for missed serves. (More on that later.) I find it weird that players would have to worry about where they land. Why not paint a “service line” behind the end line and make it a takeoff point? That’s a more natural sports move (think 3-point shots in basketball) and seems to have less potential for awkward landings and injuries. Yes, it would mean extra expenses to alter the court, but that isn’t a deal breaker. My take: Thumbs up. Fewer service errors and more rallies make for a better match. This is a lot like the serve rule, and it’s being proposed for similar reasons. In the men’s international game, the back-row hit has become so much like a front-row hit that too many points are ending too quickly. Backing up the back-row hitters will mean less terminations, and that will prolong rallies. Is it necessary for the women’s game? Maybe not right now, although University of Minnesota coach Hugh McCutcheon, who coached the U.S. men’s national team to a gold medal at the 2008 Beijing Olympics and the U.S. women’s national team to a silver medal at the 2012 London Olympics, thinks the women will catch up soon enough. My take: Back it up for the men, keep it the same for the women. If it becomes an issue in the women’s game, move it back. No reason the rule needs to be the same for both genders. Nobody seems to mind that the net heights are different for the men and women, so this should be OK, too, right? Lots of disagreement here. And here’s an example of two very different perspectives. USA Volleyball CEO Doug Beal: “I’m really strong on this one. I think we should do this immediately. I don’t want to see a setter tip.” On the other side, former USA women’s coach and current Oregon State coach Terry Liskevych: “I think all the shots should be kept. I like the fact that the setter can be an attacker. Stopping the setter is part of the game.” On one hand, eliminating it seems like banning the bunt in baseball. Most prefer the home run to the bunt, but does that mean there’s no place for the bunt? On the other hand, it is a rally killer. My take: Trash it. An argument in favor of keeping the open-hand tip is that a change of pace is good, but roll shots serve that purpose. I’d rather see players improve their hitting and see the game take another step toward extended rallies. When overhead serve receive was first introduced, Aldis Berzins, a starting outside hitter on U.S.’s 1984 gold medal team, said this to me: “It’s not pass, set, hit anymore; it’s gaff, set, hit.” Great line, and, depending on your point of view, fairly accurate. Aldis, of course, is a purist – no surprise considering he was one of the best forearm passers in the world in his playing days. Nowadays, more than a decade later, overhead passing is part of the game. But if you get rid of it, more players are likely to float serve because the receiving team will be more challenged. More float serves mean fewer missed serves. That means more rallies – at least until teams get really good at forearm passing again, and then it might have to be revisited. My take: I’d like to see some test results on this, but my gut tells me that the game would be prettier, more fluid and more rally friendly if we did away with overhead passing. And it would eliminate another judgment call for refs. It’s worth noting, though, that this change would mostly impact the men’s game. Overhead serve receive is fairly uncommon in the women’s game, at least at the international level. 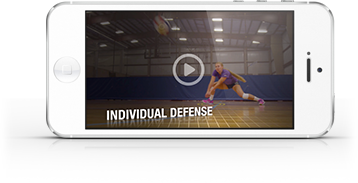 Much like backing up the service line, this one is designed to discourage players from bombing their serves and missing. I don’t like service errors any more than anybody else, but I don’t like this idea. How’s it going to work? You miss two jump serves in a set and then you don’t get to jump serve again until the next set? That has actually been discussed. Or how about this: You can only miss two jump serves per set and then you lose two points instead of one. Ugh. My take: Thumbs down. Way too complicated. Volleyball is tricky enough for the casual fan. (“Why is that one player wearing a different color jersey?”) Let’s not make it worse. If for no other reason than erasing the image of a player standing with a paddle raised over his or her head, I like this. Talk about a buzz kill. Volleyball substitutions are about as energizing as rush-hour traffic. Not that the free substitution idea doesn’t have its quirks. For instance, if it’s truly free subbing with no restrictions, is everybody really OK with coaches being able to make substitutions in a way that their top server can serve twice in a row or their best hitter can run through the front row and then run through the front row again immediately? Something to think about. My take: Do it. The details can be worked, but the sport will be pithier without archaic subbing rules that are three decades past their sell-by date. This one’s easy. Too many injuries come when players bust over the center line. And remember, the ultimate goal is to encourage more rallies, so backing everybody up is one more step toward getting there. My take: Sign it into law. This used to be the rule, and then it changed to allow incidental net touches. My take: Change it back. Allowing incidental net touches is silly. In the first place, it’s harder on the ref, and, secondly, many incidental touches still give the player in question a slight advantage. The FIVB is looking at best 3 out of 5 sets to 21 and best 4 of 7 sets to 15 in an effort to make the sport more TV friendly by limiting matches to two hours. In Beal’s opinion, minor changes like these miss the point. A better option, he says, might be to develop a scoring system that runs more like basketball and football, where there are quarters and cumulative points. McCutcheon says that may be the way to go but that it should be accompanied by a change or multiple changes that make it easier for a team that’s way behind to make a comeback. Volleyball isn’t quite like the NBA, where big bunches of points can be scored in a hurry. One solution: Devise a two-point play. If done right, this could be really cool and good for the game. My take: Come up with more options and do extensive testing at non-major tournaments. More data is needed before this one is ready for prime time. Got an opinion on any or all of these potential changes? Weigh in on the comment board below and let us know what you think.